1.) Skin Moisturizer- Argan Oil contains Vitamin E which gives your skin a moisturizing boost. I like to apply Argan Oil all over my skin and face at night because I have extremely dry skin. (As most of you know) My skin is so dry it will flake at night, due to some sort of skin disorder I have or excema. Many skin moisturizers will irritate my skin, especially my face, but Argan Oil is so natural that it just leaves your skin feeling soft like a baby. A little goes a LONG way, if you use to much you don't want to look like a grease face, so just one little drop will last you the entire night. 2) Wrinkles- Argan Oil has been known to reduce the signs of aging such as wrinkles and loss of skin firmness. It leaves your face feeling plump and restores elasticity to those vital spots that you need that extra "umph"
3) Pregnancy- Argan Oil works great for potential stretch marks. In order to keep stretch marks away, you have to keep that area around your belly really "greased up" Argan Oil, if used enough can help eliminate cellulite and stretch marks if used at least twice a day. I used it several times when I was pregnant, and I have not one stretch mark. Hooray! 4) Hair Probably Argan Oil's BEST and most important use is how it helps your hair in every aspect. It keeps your scalp healthy and fresh. If you take the oil and spread it all over your scalp, leave overnight then rinse you are left with a moisturized perfect scalp. It also helps fight the frizz. 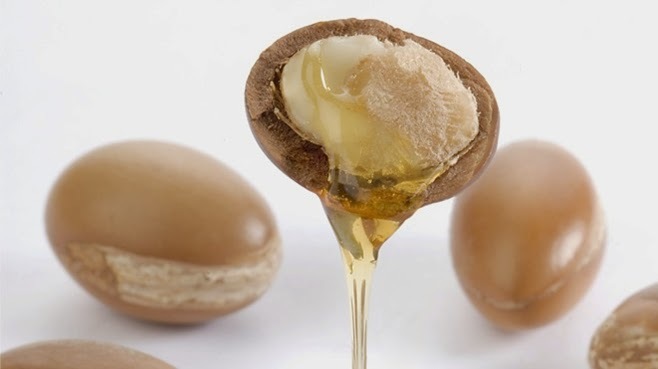 Apply a little bit of Argan Oil in the palm of your hand AFTER you blow dry, and you can tame your hair. Works great for split ends too. 5) Nail Cuticles- This is my #1 Argan Oil must. I take a little bit each night before I go to bed, and just apply it to my cuticles and inside, around my nails. It helps them grow stronger and easier, and gets rid of all hangnails. I have a habit of chewing my nails, and around them, so the argan oil repairs what I mess up. Using it on your toenails is also awesome too. 6) Healing- If you have a bruise, scar or some type of skin issue, Argan Oil is great for repairing. Especially scars. Yes you could pay $20 for a bottle of Mederma, (which never worked for me) or you can use Argan Oil, and watch your scar fade. If you have arthritis or joint pain, Argan Oil can be rubbed on to the area and it is known to improve the look of the skin AND the pain. 7) Digestion - Argan Oil is "said" to help people with constant indigestion. It contains flavanoids, an anti-oxidant which reduces the inflammation both internally and externally. Bet ya didn't know that! 8) Facial Acne- The Vitamin E helps reduce the look and the actual growth of pimples in the skin. But you have to be careful, if you have greasy skin, too much oil can make a problem worse. 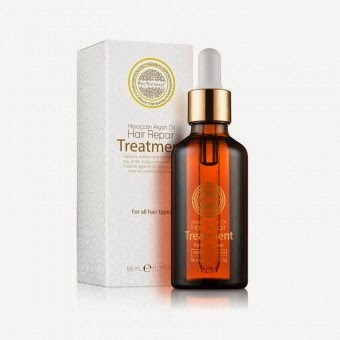 So just a drop of Argan Oil in the trouble area can significantly decrease the look and feel of facial AND body acne. 9) Helps your skin "Glow"- This is a tip I read on a couple different website that I actually didn't know about. Take a drip of your favorite Argan Oil, mix it with your favorite facial cream, apply at night and the next day your skin will GLOW. I can't wait to try this. I will keep you updated and let you know if it works. Who doesn't want glowing skin? 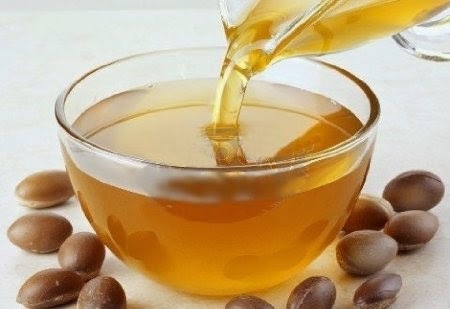 10) Lowers Cholesterol- Argan Oil contains plant sterols, something found in vegetable oil, (it gets a bit complex when talking about ingredients) but all you need to know is just a LITTLE bit can help people with high cholesterol and get you in better shape. How cool is that? So with so many brand of oil, which one do you choose? Pro-Naturals is one of my absolute favorites. Not only is it one of the more affordable choices, but you get a nice large bottle of 100% pure Argan Oil. A lot of times you will purchase something that is not completely natural, or mixed with other things, but Pro-Naturals has a great return policy, and quick and easy shipping. Pro-Naturals is an Argan Oil that prides itself on being a "Hair Repair Treatment"
Leave-in treatment gently smooths the cuticles and helps fortify hair that is prone to breaking and split ends. Helps strengthen the hair that's prone to breakage, splitting or snapping off. Gently smoothes the hair and form a protective mist on surface, against heat damage. Reduces friction from brushing and helps prevent further damage. Leaves hair healthy, shiny and resilient. Provides heat protection against electric hair tools. So not only can you use the Pro-Naturals Oil for your hair, but I also gave 10 other great ways you can use this oil!. Pro-Naturals Argan Oil sells for $59.99 on their website. Trust me, one bottle will go a LONG way. If you use it right, one bottles will last months. Visit their website to read more. Pro-Naturals is giving away a bottle of their famous Argan Oil to one reader; to enter fill out the form below, Good luck!! USA only.